In this climate, it's important that the voices of actual climate science are heard. Let’s say the cost to produce a widget is $1. What’s the cost to produce 1 million widgets? The cost to produce 1 million widgets is far below $1 million thanks to the savings inherent in mass production. It’s a lot cheaper per something to make a lot of something, than it is to create one of it, or even a few. A couple secondary understandings extend themselves as a result of this primary understanding. First, it’s wrong to assume that providing people with more money will necessitate rising prices. Increased demand can lead to greatly increased production, which then leads to lower prices. Just how much production can be ramped up in response to increased demand is a key factor in price determination. Where supply cannot be increased, and therefore more money is chasing the same amount of goods, price increases can be expected. Where supply can be greatly or even infinitely increased, lower prices can be expected, especially where true competition exists. Second, and I find this point extremely compelling and the real point of this post, is a recognition of our interdependence, and the collective debt we owe each other. Take whatever device you’re reading these words on as a prime example. Whatever its cost to you, it only cost that because millions of others like you expressed their demand for the same device. Without everyone else, that device would have cost you ten times, a hundred times, or even a thousand times more than it would have to create just one, just for you. In other words, we all subsidize each other. It’s kind of like every time we buy something for ourselves, everyone else is chipping in too, to make that possible. It can be compared to buying something in a store somewhere with a price tag of $1,000 that only ends up costing us $100 because 900 other people each provided us a $1 gift card to help us buy it. What we’re doing right now is spending $100 on a $1,000 item, and ignoring the $900 in help we got, pretending instead that we afforded it all on our own. We didn’t. We couldn’t. Much of what we buy only costs what it does because of so many other people buying the same thing. Aside from this truth, when it comes to technological purchases, our tax dollars paid for their research and development. Our tax dollars also often pay to directly subsidize the very corporations that then turn said research funding into commercial products. Additionally, said commercial products are increasingly reliant on big data, and where does big data come from? It comes from all of us, through the actions of our daily existence. Meanwhile, what is all of this stuff that we’re making made out of? It’s made of minerals, metals, pieces of the Earth, which in turn were forged in the explosions of stars, just like you were. Who owns that star stuff? On the one hand, no one does, and on the other hand, everyone does. In Alaska, Alaskans are paid on average about $1000 per year for being an Alaskan. Why? Because the oil companies didn’t make the oil in Alaska. They’re merely bringing it up out of the ground and processing it. The oil is considered owned by all Alaskans, and so they should as owners see some of the revenue generated by its sale. Now apply this logic to the rest of what was not created by humankind. Apply it to what is not created by any one human individually, but everyone together, like for example land value. Take a million dollar mansion and swap it with an empty lot in the middle of the desert. The mansion becomes worth only the sum total of what its parts can sell for. The empty lot shoots up in value. Why? Because the unimproved value of land is socially created. That value exists because YOU exist. 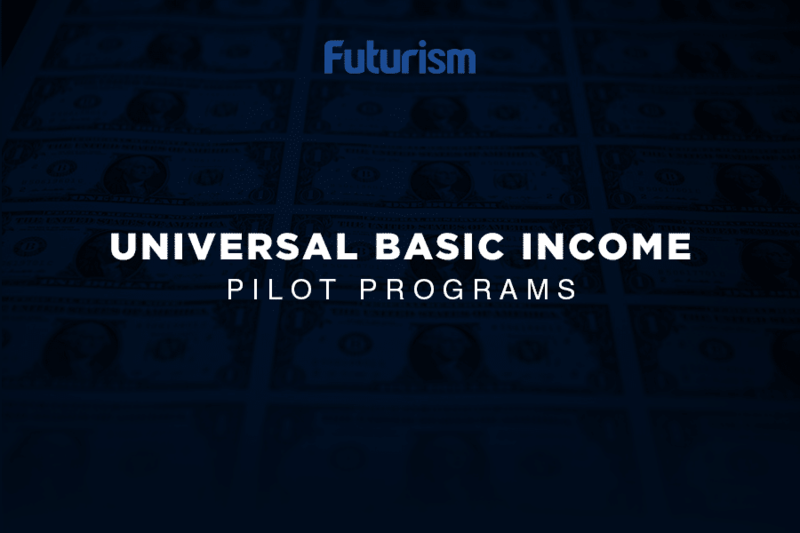 Do you see now that basic income is not “free money” or “money for nothing?” You are owed it. It is your just and due compensation as part of this interdependent system we call society. We are all stakeholders in it. We are all owed a dividend as investors. No investor in Apple would ever be okay with being told that in return for their investment in Apple, they merely get the privilege of purchasing Apple products. Their reward is a return on their investment in the form of cash dividends. That’s fair and just. What is true for corporate stockholders should also be true for you. Don’t accept anything less than a cash dividend for your investments in this grand organization called human civilization. Claim what you are owed and demand unconditional basic income. Furthermore, demand that it be indexed to rise with national wealth so as to reflect your share of rising productivity due to automation. The more labor that technology is doing for us, the higher your technological dividend should be. Nothing less is sufficient ROI. We must recognize our profound interdependence and begin to treat each other accordingly. Basic income is just compensation.